Tile adds class and character to your home. It is durable, low maintenance and stain resistant. Tile is considered a permanent addition to your home, therefore increasing your resale value. There are hundreds of varieties of tile to choose from, and with the ability to mix and match you can create your very own one-of-a-kind design, or just add a little 'flare' with a backsplash or some accent pieces. Buy a sample of your chosen tile and test it. To test a kitchen countertop tile: scratch it with a knife, slide pots and pans on it, set something hot on it, dribble coffee and red wine on it. 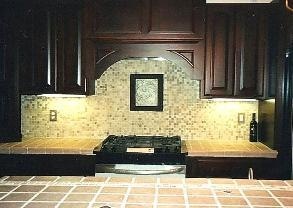 This will give you an idea of how this tile will work in your kitchen. When choosing tile colors remember that you also need to choose a grout color. Generally darker tiles are paired with lighter grouts for contrast. Lighter tiles can be paired with any grout color. Tile projects often involve edges and corners. You can trim an edge with wood or with bullnosed tiles. These are slightly more expensive, but look very classy.